Goonies. 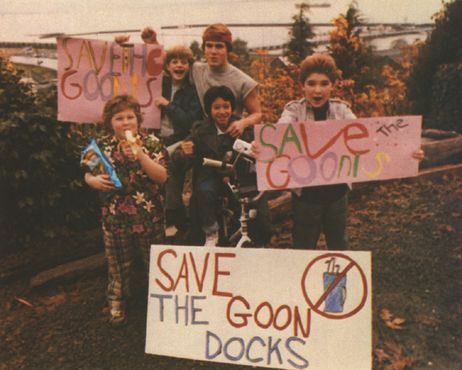 Save the Goondocks. Wallpaper and background images in the The Goonies club tagged: goonies 80's movie treasure adventure kids promotion goondocks fun. This The Goonies photo might contain প্যাকিং বাক্স, কেস প্যাকিং, সাইন, পোস্টার, টেক্সট, and চকবোর্ড.